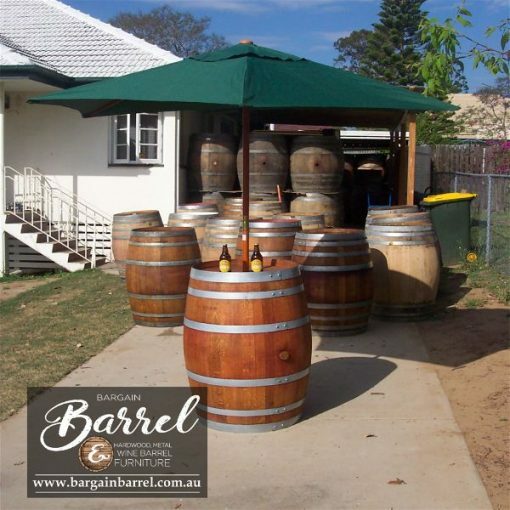 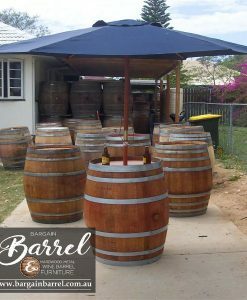 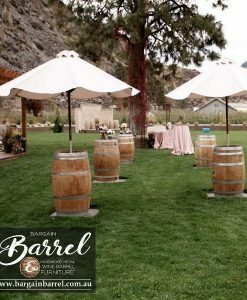 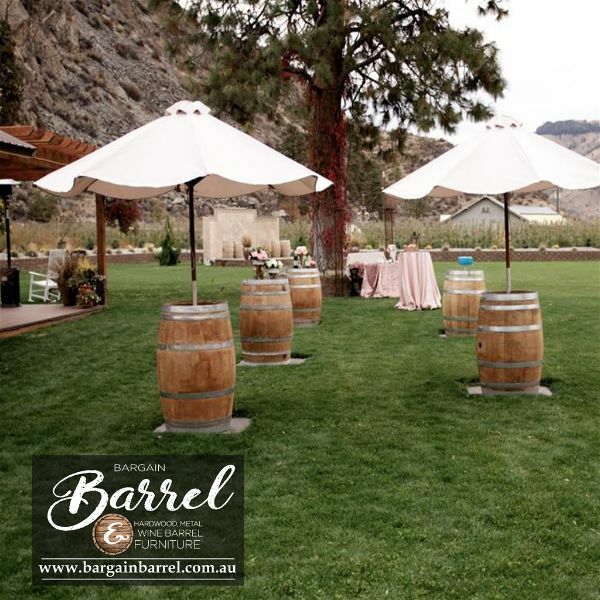 Our signature Umbrella Barrels are made from the 330L wine barrels with a wonderful high quality umbrella (UV protection) as a show piece in the center to provide plenty of shade when using as a drinks table. 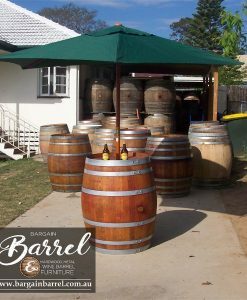 Fitted internally with a unique powder coated metal brace to assist with the umbrella being secured tightly to the wine barrel. 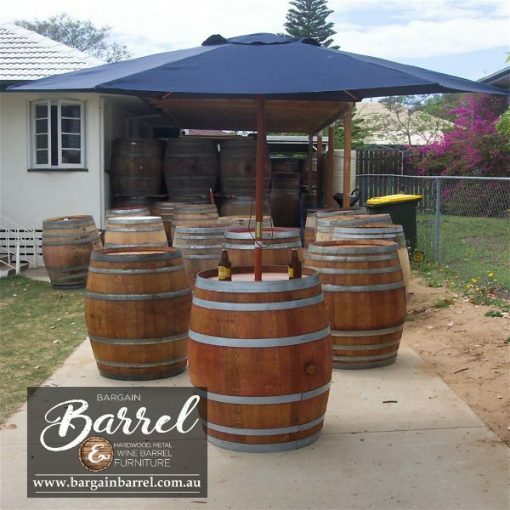 Our design also allows our customer to remove the umbrella and flip the wine barrel over to be used as a whole table. 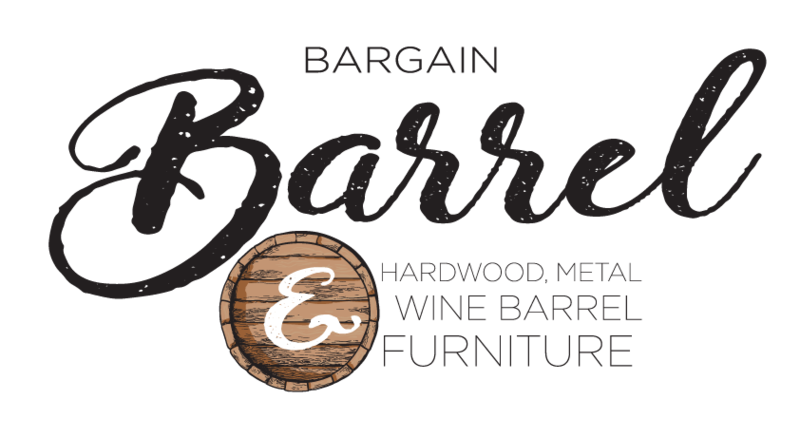 Two products for the price of one. Please find time to view our extended Umbrella Barrel range.